If your property features a gravel drive, you must maintain it. There’s no way around it. While gravel drives are usually the most economical option, they also require the most upkeep. Spring is a great time to assess your gravel drive and perform routine post-winter maintenance to keep it functioning year after year. 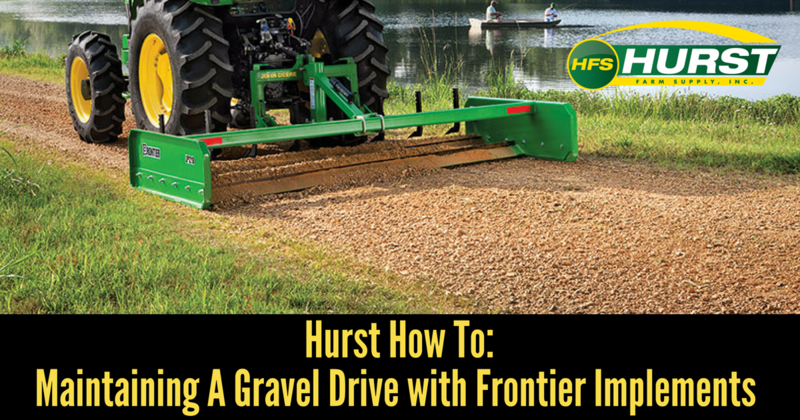 Here are several ways to maintain your gravel drive this spring with Frontier implements from Hurst Farm Supply. Over time, a good amount of gravel ends up in the ditches or grassy areas along your drive. A Frontier Rotary Broom will be your best bet for collecting loose gravel. Now you can redistribute the gravel across the roadway using a Frontier Rear Blade implement. Use the rear blade to work along the edge of your drive and pull gravel back toward the center. Once the gravel is away from the edges, adjust the rear blade to be perpendicular to the tractor. The blade should be reversed so that the cutting edge points backward. With the rounded edge, distribute the gravel evenly over the drive. This will also fill in tire tracks created over the last year. Adding a new layer of gravel to your drive may not be necessary, depending on how harsh the winter season was and how much loose gravel you are able to collect. If your drive needs a new top layer, you can order a load of gravel delivered to your property. Use the Frontier 4-in-1 Bucket with a tractor loader to haul the gravel from storage to the drive. After you dump the gravel, repeat the spreading and leveling process above using your rear blade implement. Always keep safety in mind when working with your heavy machinery. Read the Operator’s Manual thoroughly before you start any project and follow all instructions. The experienced team at Hurst Farm Supply is always happy to answer any questions and help you find the tools you need to maintain your property. We carry a full line of tractor and mower implements to help you achieve your goals. 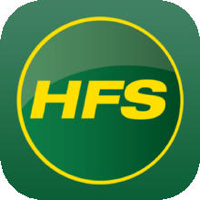 Browse our online inventory or stop into your local Hurst Farm Supply store today to learn more.